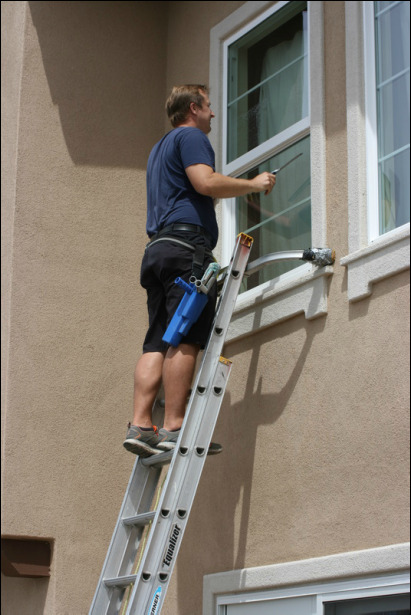 ﻿﻿ "Making San Diego Brighter, One Window at a Time"
﻿﻿With Pacific Window Washing you're going to get the quality and care that only comes from a small business that is operated by the owner. That's me, Zac. I've been in Carlsbad cleaning windows throughout San Diego County for over 10 years and understand the importance of not cutting corners but building solid relationships with clients by doing the best work. Thanks for considering using the best Carlsbad window cleaning company (I may be biased) although we really do know what we are doing, we have been cleaning windows for over 13 years! There are other good window washing companies throughout San Diego but few who have kept their prices as low as we have while still providing the highest level of service. At Pacific Window Washing we make a point to never cut corners and to give our customers the best product, so they will want to call us again and again and will be happy to tell their neighbors and friends about us. Besides window cleaning we also do pressure washing, solar panel cleaning and Christmas light installation.